If you are unsure which size to choose, it is best to measure your bare foot. 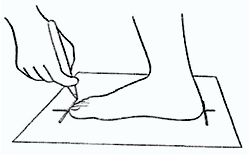 Put your foot flat on a piece of paper, draw a cross at the tip of the longest toe and at the back of the heel. Measure the distance between the marks. Then repeat on the other foot and take the larger of the two measurements. 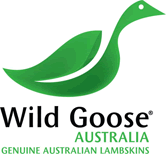 Please be aware that your sheepskin boots are meant to be a snug fit when they are brand new. Sheepskin will stretch when worn. 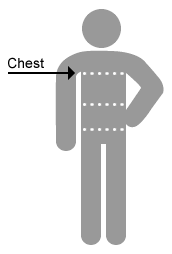 Measure chest just under arms and across shoulder blades, holding tape level. Be sure to cross over the shoulder blades and the fullest part of your chest. 36-38" 39-40" 41-42" 43-44" 45-46" 47-48"
34-35" 36-38" 39-40" 41-42" 43-44" 45-46"
1. 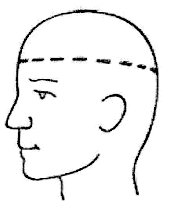 Keep the tape level and firm across the temples and above the eyebrow ridges, measure the circumference around your head. 2. Then use the Hat size chart to determine your hat size. If between, select the next size up.